Shape and space go hand in hand when thinking about a pool for your home and getting it right from the get go can seem obvious but there are a lot of elements to consider. The most important factor is what shape the pool needs to be and whether the pool is going to fit into your space. Make sure that when you start researching the many different shapes of pools there are on the market you have a clear idea of your own space. This will help you in planning and thinking about the best type and shape of pool you want which can only make the selection process that much simpler as you begin discussing your needs with pool specialists and experts as you shop around. Being clear about what you want in terms of shape and space will help you speed up the process and gives you better clarity of what shapes will work and won’t for your space. Understanding the space, you will need for a pool is important so ensure that you choose the pool shape that best suits your home, backyard space and family needs. When considering the space for a pool you want to factor in whether your backyard is on a slope, or even a hill. Your backyard may be better suited to an infinity pool for example which many people do opt for so that they can leverage the slope for both practicality and design. This may increase your costs as this type of pool typically requires custom design. On the other hand, there are many affordable pools on the market today that can also solve this problem. There are companies who specialise in modular pools that can provide you with above-ground and in-ground options for consideration. Think about who is going to be using the pool. Is it just you and your partner, or will the pool be a summer haven for your children? If your motivating factor for wanting a pool is so that you can train and swim laps, then shape and space becomes an even more important factor because a round or oval shaped pool is not going to cater to your needs. Your backyard may lend itself to a lap pool running lengthwise alongside the house which means that swimming laps is definitely an option. However, if you plan on spending your summers entertaining family and friends around the pool, or, if you have young children that require constant supervision, then having a lap pool may not be the best option as there may not be sufficient space around the pool for children to play in and out of the pool. Another factor to consider when thinking about the shape and space for your pool is landscape. Are there many tall trees bordering where you want to install your pool? Will you use the trees as shade for your pool or will you want to install a shade cloth? Maintaining a pool that constantly has leaves falling into the pool means you will spend significantly more time cleaning your pool and maintaining the pool filter. Having a stylish pool, that fits into your backyard and meets your family’s needs is important, so too is safety. As part of your preparation when planning to buy a pool make sure you research the laws in your state before you begin building your pool, as this could have an impact on the style of pool that you ultimately select. There are different rules that apply to different states, for example, in the state of Queensland, you must have a pool safety fence. This safety feature must measure at least 1200mm from top to bottom, and gates need to have child safety locks. Are there windows that open from your house onto the pool area? If yes, then the windows must not open more than 100mm. Make sure too that there are no child climbing toys within 900mm of the pool safety fence. These are just some of the pool compliance regulations that you need to consider. All safety regulations will have an impact on the style of pool your backyard can legally have. Another safety feature to consider is whether you will need a deep end for diving purposes as part of a training and fitness program. When considering style, you will need to consider what materials you will build your pool from. For durability, concrete is best but there will be high costs and a lengthy installation process. Other options include both vinyl and fibreglass. At the end of the day it comes down to your budget and your style preferences. You can also check various finance option available which can aid you in building your pool. Take your time to consider what style of pool you prefer and make sure that they fit into the style of your home and importantly the size of your backyard especially if it is smaller in size. . There are a wide range of pools and solutions available for all shapes of backyards. Don’t let having a small or unusually shaped backyard hold you back from considering building the pool of your dreams. Remember to take into account the key factors of shape, space and style during the selection process and you can’t go wrong. 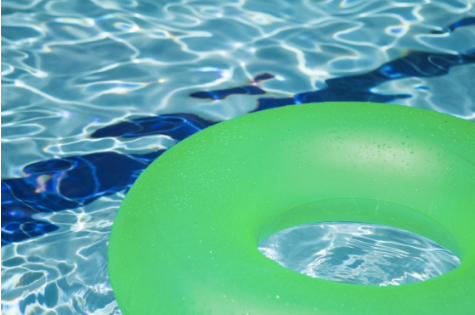 Is your pool installation safe for young children?